Umberto Brothers Storage Warehousing Inc. was located here at 288 West St. between Watts St. and Canal St. from 1963 to 1976. Prior to this location, Umberto Brothers were in business further downtown around Front and Water Sts. beginning around 1956. 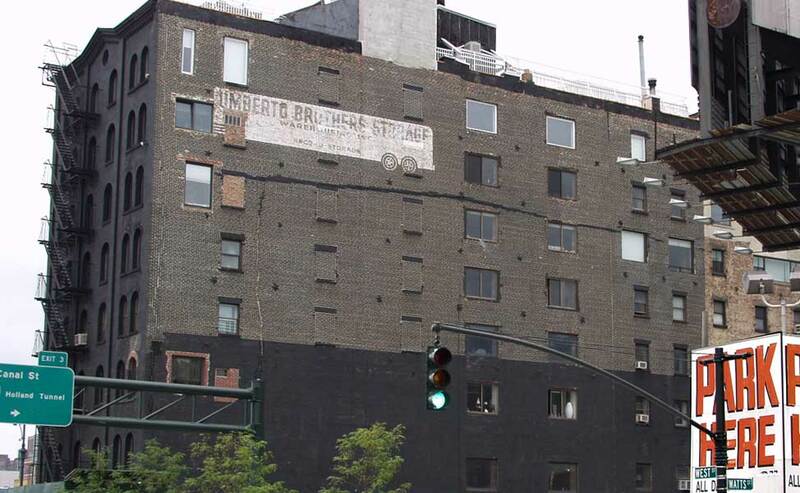 A posting by Bob Florio on Frank Jump's Fading Ads blog identifies the Umberto brothers as Pat and Gene Umberto. In 1976 Umberto Brothers moved their operations to Jersey City, New Jersey. They were listed in the Manhattan telephone directory until 1992.